When you are seeking a spacious yet sporty sedan with the latest technology and safety features, you're looking for the 2019 Toyota Camry. The new Camry boasts advanced driver-assist technologies as standard equipment, something that other sedans only make optional. This new Toyota mid-size sedan not only offers impressive technologies and a roomy cabin, but stellar fuel efficiency, too! Take your pick of one of three potent yet efficient powertrains in the 2019 Toyota Camry, including the standard 2.5-liter Dynamic Force 4-cylinder, optional 3.5-liter V6 or the Camry Hybrid's gas-electric powertrain. All versions of the new Toyota Camry are available to be explored in St. Louis, MO at Lou Fusz Toyota. Shop or visit our dealership from nearby St. Charles, MO for your chance to secure a sleek new Toyota Camry for sale. 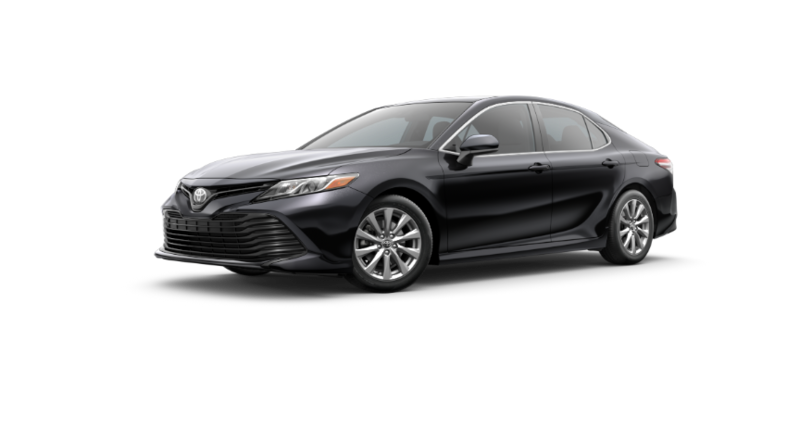 When you shop online here at Lou Fusz Toyota or visit our dealership from nearby St. Peters, MO, you can compare each Camry trim level, including the Camry L base trim, the high-powered XLE V6 and XSE V6 models and the new Camry Hybrid lineup. Remember that every 2019 Camry sedan not only comes with advanced features like an Entune™ 3.0 Audio system and Toyota Safety Sense™ driver-assist technologies, but also a complimentary ToyotaCare maintenance plan! With ten well-appointed trim levels to discover and highly competitive prices at Lou Fusz Toyota, now is the time to visit our Toyota dealership in St. Louis, MO for your very own Camry sedan at a driver-friendly price! Don't hesitate to get pre-qualified for auto loans and see what your trade is worth before stopping by for that all-important test drive!